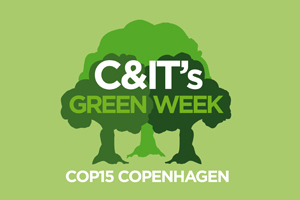 C&IT GREEN WEEK: The Netherlands Board of Tourism and Conventions has launched a green meetings guide for event organisers. The online guide lists the green credentials of six Dutch cities, plus 200 venues that have been granted the Green Key award by the international Foundation for Environmental Education. The website also offers a CO2 calculator and a green meetings checklist. Netherlands Board of Tourism MICE project manager Alex Lacey said: "Holland has always been at the cutting edge of sustainability but we felt it was right for us to look at it as a whole and bring all the information together in one place. "In the industry as a whole, we've also noticed an increase in the numbers of event planners and buyers are asking us whether we can offer sustainable events." Establish a carbon-neutral initiative to compensate for the CO2 emissions resulting from your event. Seek to use low carbon and renewable energy, and choose energy-efficient and water-saving appliances. Consider the possibility of a paperless event by using new media and electronic technology.